If Office activation fails, you'll see Unlicensed Product or Non-commercial use / Unlicensed Product in the title bar of your Office apps, and most features of Office are disabled. To restore all features of Office, you'll need to fix the problem that's causing activation to fail. If Office asks you to sign in, enter the account you used to buy Office. You'll see "We couldn't find any Office products" if you use the wrong address. You may not realize you have more than one copy installed. Having two installs can cause activation conflicts. If your subscription has expired, you'll see "We couldn't find any Office products." Renew your subscription to use Office 365. If Office still won't activate, choose your Office version for additional troubleshooting help. Please try signing in using all your personal email addresses in case you bought Office using a different email address. If you're at work or school, you may need to log in using your work or school account instead of your personal email account. To check if your Microsoft account is associated with Office, sign in to Services & subscriptions. Your Office product or Office 365 subscription should be listed there. If it's not, your email address won't work for signing in to Office. Activation can fail if you have multiple copies of Office installed. Let's uninstall any versions of Office you aren't using before we continue to troubleshoot. Windows 10 On the Windows 10 task bar, type Control Panel in the Type here to search box, select Control Panel in the search results, and then select Programs and Features. Windows 8.1 or 8 Right-click the Start button (lower-left corner), select Control Panel, and then select Programs and Features. Windows 7 Click Start > Control Panel > Uninstall a program. In the Search Programs and Features box (upper-right corner) of Programs and Features, search for the word office. If more than one version appears, right-click the version you aren't using and select Uninstall. If only one version is listed, you can go to Step 3: Check your Office 365 subscription status. When the uninstall is finished, restart your computer. Open an Office app and sign in, if prompted. If Office still won't activate, try running an online repair as described in Repair an Office application to fix up the remaining install of Office. If you still can't activate, proceed to the next step. If you have an Office 365 for home subscription, let's make sure it's still active and renew your subscription, if necessary. If you don't have Office 365, you can skip to Step 4: Troubleshoot Office activation. Go to your Services & subscriptions page. If prompted, choose Sign in and enter the Microsoft account email and password associated with your Office 365 subscription. Review the details under the Subscriptions heading or Cancelled subscriptions heading. If your subscription has expired, you can renew it by following the steps in Renew Office 365 for home. The Support and Recovery Assistant app runs on Windows PCs and can help you identify and fix activation issues with Office 365. Select the Download button below. Select your browser from the drop-down list to see how to save and then start the Support and Recovery Assistant for Office 365. At the bottom of the browser window, select Save. In the next box that indicates SetupProd_Act.exe is finished downloading, select Run. At the bottom of the browser window, select Open to open the SetupProd_Act.exe file. If the file doesn’t open automatically, choose Save > Open Folder, and then double-click the file (it should start with "SetupProd_Act.exe"). In the lower-lower left corner select the SetupProd_Act.exe file and from the drop down, select Show in folder. Select Save File, and then OK. In the upper-right browser window, select Show all downloads. In the Library, select Downloads > SetupProd_Act.exe, and then select the folder icon. Double-click SetupProd_Act.exe. The Application Install dialog box opens. Select Install to start the installation. The Microsoft Support and Recovery Assistant for Office 365 opens in a new window. Select I agree to accept the Microsoft Services Agreement. Select Yes to allow the app to make changes to your device. Follow the prompts to troubleshoot your Office activation issue. If Office still won't activate after you run the Support and Recovery Assistant, you can Fix Unlicensed Product errors yourself. The Activation Troubleshooter runs on Windows PCs and can fix activation errors for Office Home & Student, Office Home & Business, Office Professional, and individual Office apps, like Visio, Project, Word, and Outlook. Select your browser from the drop-down list to see how to save and then launch the troubleshooter. In the next box that indicates officeact.diagcab is finished downloading, select Open. The Activation Troubleshooter launches. Select Next and follow the prompts. At the bottom of the browser window, select Open to open the officeact.diagcab file. If the file doesn’t open automatically, choose Save > Open Folder, and then double-click the file (it should start with "officeact.diagcab") to run the easy fix tool. In the lower-lower left corner select the officeact.diagcab file and from the drop down, select Show in folder. Double-click the download, officeact.diagcab to run the easy fix tool. In the upper-right browser window, select Show all downloads. In the Library, select Downloads > officeact.diagcab, and then select the folder icon. Double-click the officeact.diagcab. If Office still won't activate after you run the Activation Troubleshooter, you can Fix Unlicensed Product errors yourself. If you've tried the earlier troubleshooting steps and Office is still unlicensed, you can troubleshoot activation failures yourself. If these settings aren't correct, Office activation might fail. Follow the steps below for your operating system. In the bottom right-hand corner of your screen, select the date or time. Select Date and time settings. Select Set time automatically and, if shown, Set time zone automatically. If you don't have the option to set the time zone automatically, make sure your local time zone is shown in Time zone. Select Change date and time settings. If the date or time is wrong, select Change date and time and correct the date and time settings. If the time zone is wrong, select Change time zone and select your local time zone. Tip: In Windows 7, you can synchronize your computer clock with an Internet time server to keep the computer clock up to date. To do this, select the date or time in the bottom right-hand corner of your screen, and then select Change date and time settings. Select the Internet Time tab, select Change settings, select Synchronize with an Internet time server, and then select Update now. Running Office as administrator helps fix permission issues that might cause Office activation to fail. Follow the steps below for your operating system. Press the Start button in the lower-left corner of your screen. Type an application name, like Word. The Word program icon appears in the search results. Right-click the Word icon, and select Run as administrator. Select Yes to allow Office to run as administrator. 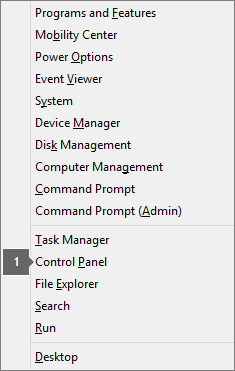 In Windows 8.1, right-click the Start button in the lower-left corner of your screen, and then select Search. In Windows 8, move your mouse to the upper-right corner of your screen to open the charms bar, and then select the Search icon. In the Search programs and files box, type an application name, like Word. The Word program icon appears in the search results. Right-click the Excel icon, and select Run as administrator. If prompted, select Yes to allow Office to run as administrator. The latest Office updates might contain fixes to activation issues. To learn how to update Office, see Install Office updates. 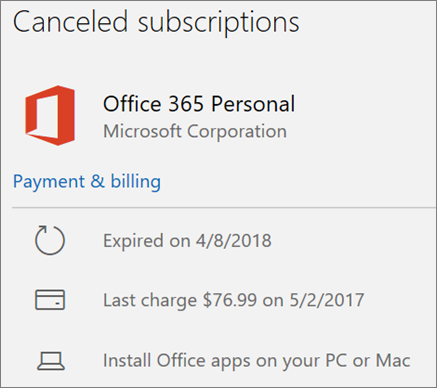 If you’ve tried all of the other solutions but you’re still getting prompted to activate Office 2013, uninstall your product key and then sign in to activate Office. Select this easy fix to uninstall your product key in Office 2013. At the bottom of your browser, select Open. After the easy fix tool is done, open any Office application, like Word or Excel. When you’re prompted, sign in with the email and password that are associated with Office. If you're using a firewall from another manufacturer, visit the manufacturer's website for information about how to temporarily disable the firewall. For Windows Firewall, please see below. For information about how to turn off your antivirus software, check your antivirus manufacturer's website. Uninstalling your antivirus software may also help. Don't forget to reinstall it after Office is finished installing and if you turned it off, be sure to turn it on again. If you're not sure which antivirus software you have, use the following instructions to get to Control Panel to find the name of your antivirus software. Tip: Windows 10 comes with default antivirus software, Windows Defender. If you determine that you're using it, select the Start button > Settings > Update & Security, and then select Windows Defender on the left. Slide the button to Off. Remember to turn it On again. On the Start menu, enter Control Panel in the search box and select Control Panel from the results. In Category view, select System and Security > Security and Maintenance, and then select the down arrow next to Security. In Large icons or Small icons view, select Security and Maintenance, and then select the down arrow next to Security. If Windows can detect your antivirus software, it's listed under Virus protection. Go to the Control Panel by right-clicking the Start button (lower-left corner), and choosing Control Panel. In Category view, select System and Security > Action Center, and then select the down arrow next to Security. In Large icons or Small icons view, select Action Center, and then select the down arrow next to Security. Go to Control Panel by choosing the Start button (lower-left corner), and choosing Control Panel. If you use your device both at home and at work, try turning off the proxy settings in Microsoft Edge or Internet Explorer before you install Office. If you’re using a different browser, check their help to find out how to turn off proxy settings. Click the Start button (lower-left corner), and choose Settings. Select Network & Internet, go to the bottom of the selections on the left side, and click Proxy. In Automatic proxy setup, automatically detect settings or use setup script, by sliding to On or Off. In Manual proxy setup, you can choose to use a proxy server. Generally, it will be off and if you slide it to On, be sure to select Save. And if it was off by default before you turned it on, be sure to slide back to Off when you've finished using it. In Internet Explorer, click Tools (upper-right corner) > Internet options. Click the Connections tab, and then click the LAN settings button. Under Proxy server, clear the option "Use a proxy server for your LAN (These settings will not apply to dial-up or VPN connections)." Click Apply and OK to save changes. Restart your computer. Note: There might be more proxy settings that you need to bypass. If this doesn't work, and you’re installing Office from work or school, check with your IT department for more information. For IT administrators, please see Office 365 URLs and IP address ranges. If you’ve tried everything in this article and still need help, you can contact Office support.